I’m a Louisiana-born Texas transplant. My mom and I moved to Houston when I was 11. I went from the country life to the city life. And, I love that I’ve had “both worlds” shape me. I have been happily married for 11 years to my husband, Raffi. We married on a beach in Maui! Raffi is of Lebanese decent. Have you had Lebanese food? You must! If given the opportunity to choose my last meal on Earth, it would be Lebanese food. So yummy! I haven’t tried cooking Lebanese food much but, I love to cook so, I should. Maybe I’ll try some dishes out and share them here with you on the blog! We have 2 beautiful children. Jack (11) and Lola (8). They are great kids!! I am blessed to be their mom and share this life with them. After years in the workforce, in a multitude of jobs, like waitress, receptionist at a hair salon, Realtor, and title company Marketing Rep, I am now a stay at home mom. But, as many of you know, that’s a full-time job in and of itself! When I’m not driving the kids around to all their after school activities and, the 4th birthday party of the month 🙂 I’m a part-time Stella & Dot Stylist, a budding interior decorator, and now a Blogger!! I love to travel and discover new places, but I also love being at home with family and friends. I consider myself a foodie and love all kinds of foods! 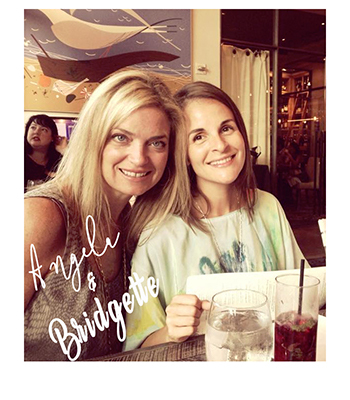 I’m so excited about this To Be Simply Happy adventure with my friend Bridgette!! I hope you will enjoy all we have to share on life, cooking, style, travel, career, and DIY projects. Check in often and feel free to leave us your comments! We’d love to get to know you too!